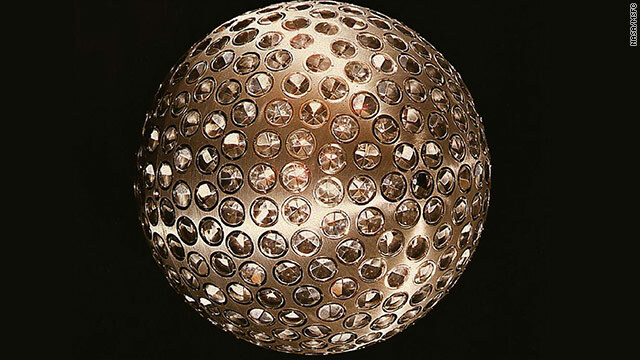 "The LAGEOS I, Laser Geodynamics Satellite, was launched on May 4, 1976 from Vandenberg Air Force Base, California. The two-foot diameter, 900-pound satellite orbited the Earth from pole to pole and measured the movements of the Earth's surface relative to earthquakes, continental drift, and other geophysical phenomena. The mirrored surface of the satellite precisely reflected laser beams from ground stations for accurate ranging measurements. Scientists at NASA's Marshall Space Flight Center in Huntsville, Ala. came up with the idea for the satellite and built it at the Marshall Center." NASA's Cassini spacecraft returned a stunning image of a hurricane on Saturn's northern pole. The shot (pictured above) was taken on November 27 and is one of the first views of Saturn's north pole lit by the sun. The colors in the image are not the real ones. They represent projections of various wavelengths of near-infrared light. Red is used to represent low clouds, and green indicates high clouds. 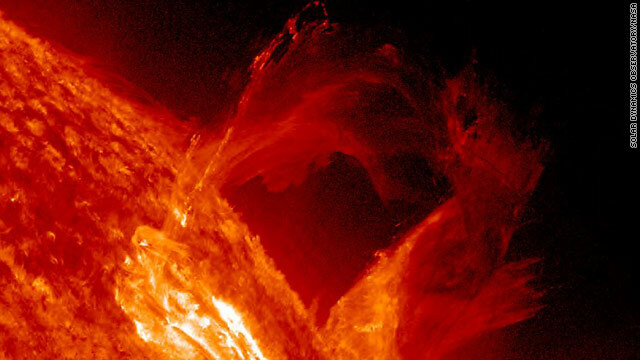 Scientists don't know how long this storm, which has an eye that measures 1,250 miles across, with cloud speeds as fast as 330 mph, has been active. The last time the planet's north pole was imaged in 2004, it was in darkness. 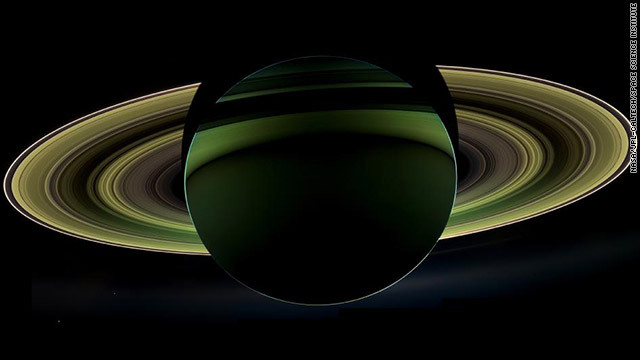 According to NASA, images were taken with a narrow-angle camera on Cassini, "using a combination of spectral filters sensitive to wavelengths of near-infrared light." Studying this storm may lead scientists to new insights about hurricanes on Earth. Cassini is one part of the Cassini-Huygens mission operated by NASA, the European Space Agency and the Italian Space Agency. Read more about it here, here and here. Not published in LIFE. 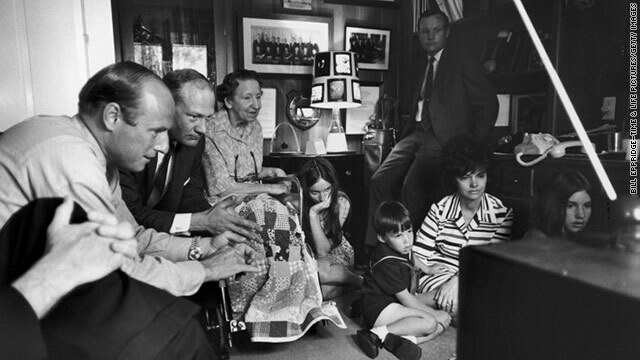 From left: Astronauts Pete Conrad and Buzz Aldrin; James Lovell's mother, Blanch; Barbara Lovell (chin in hand); Neil Armstrong (standing); Jeffrey, Marilyn and Susan Lovell, all watching TV at the Lovell home during the Apollo 13 crisis, April 1970. Life.com has published a gallery of images of astronaut Jim Lovell's home and family during Apollo 13, which returned safely to earth on this date in 1970. 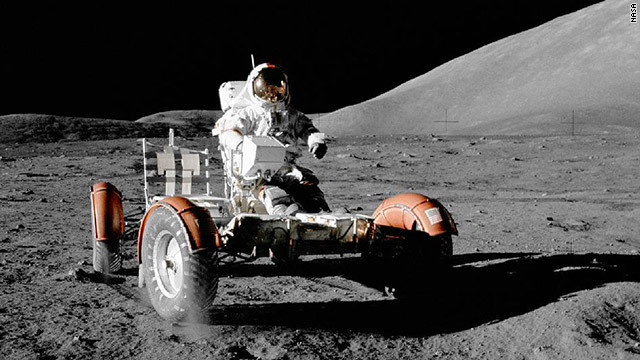 "The Pioneer 11 spacecraft launched from Cape Canaveral forty years ago, on April 5, 1973. Pioneer 11's path through Saturn's outer rings took it within 21,000 km of the planet, where it discovered two new moons (almost smacking into one of them in September 1979) and a new "F" ring. The spacecraft also discovered and charted the magnetosphere, magnetic field and mapped the general structure of Saturn's interior. The spacecraft's instruments measured the heat radiation from Saturn's interior and found that its planet-sized moon, Titan, was too cold to support life. 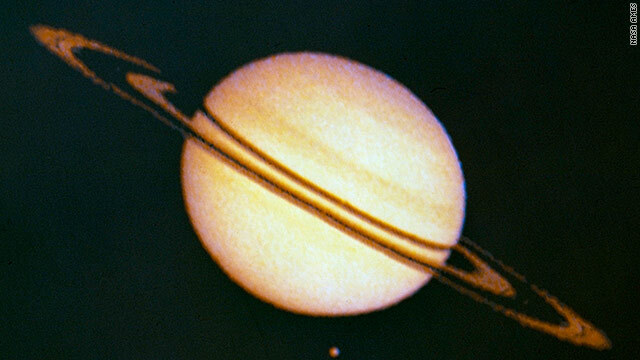 This image from Pioneer 11 shows Saturn and its moon Titan. The irregularities in ring silhouette and shadow are due to technical anomalies in the preliminary data later corrected. At the time this image was taken, Pioneer was 2,846,000 km (1,768,422 miles) from Saturn." 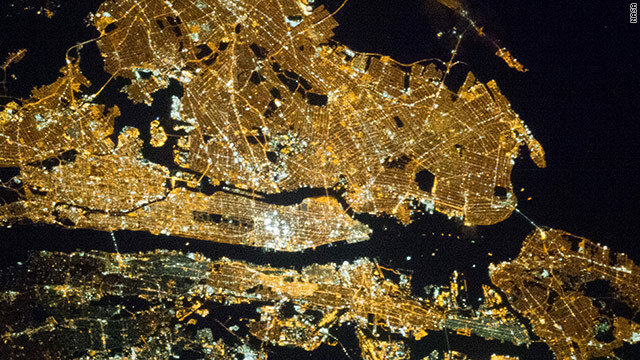 "One of the Expedition 35 crew members aboard the Earth-orbiting International Space Station exposed this 400 millimeter night image of the greater New York City metropolitan area on March 23, 2013. For orientation purposes, note that Manhattan runs horizontal through the frame from left to the midpoint. Central Park is just a little to the left of frame center." "This new view of the historical supernova remnant Cassiopeia A, located 11,000 light-years away, was taken by NASA's Nuclear Spectroscopic Telescope Array, or NuSTAR. 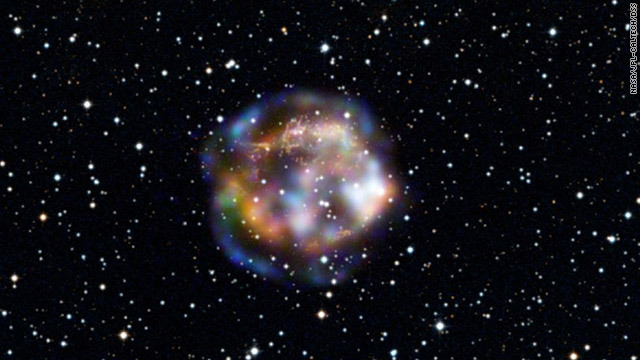 Blue indicates the highest energy X-ray light, where NuSTAR has made the first resolved image ever of this source. Red and green show the lower end of NuSTAR's energy range, which overlaps with NASA's high-resolution Chandra X-ray Observatory. X-ray light with energies between 10 and 20 kiloelectron volts are blue; X-rays of 8 to 10 kiloelectron volts are green; and X-rays of 4.5 to 5.5 kiloelectron volts are red. The starry background picture is from the Digitized Sky Survey." 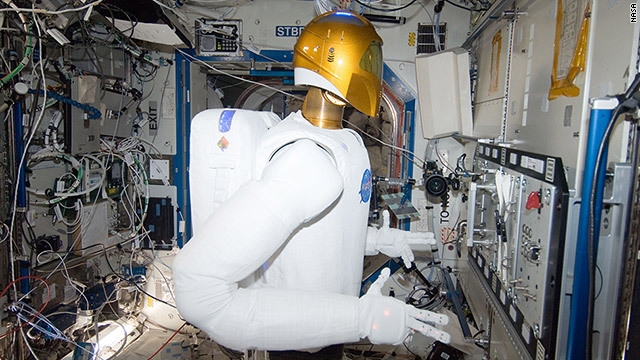 "In the International Space Station's Destiny laboratory, Robonaut 2 is pictured on Jan. 2, during a round of testing for the first humanoid robot in space. Ground teams put Robonaut through its paces as they remotely commanded it to operate valves on a task board. Robonaut is a testbed for exploring new robotic capabilities in space, and its form and dexterity allow it to use the same tools and control panels as its human counterparts do aboard the station."